Welcome your wedding guests to paradise with all the details, even down to custom designed destination wedding linen like guest towels! 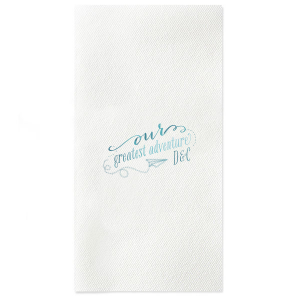 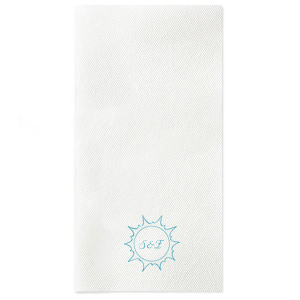 Luxuriously soft to the touch, your destination wedding linen like guest towels will be a perfect personalized touch to your destination wedding experience! 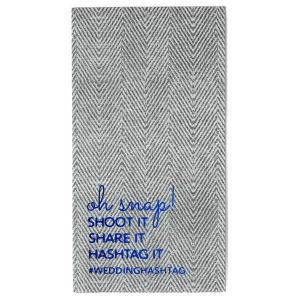 You’ve chosen the location of your dreams for your wedding day! 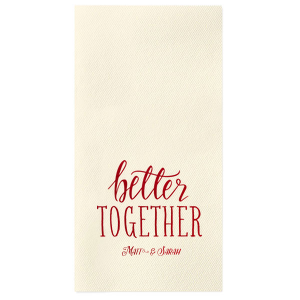 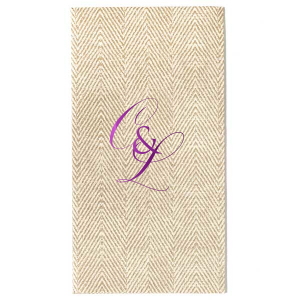 Now for personalized wedding supplies that reflect your elegant taste in all the details like our luxurious custom designed destination wedding linen like guest towels. 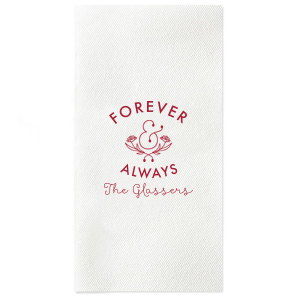 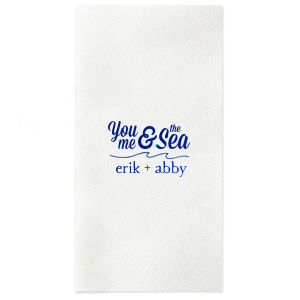 Available in a tasteful array of colors, with nearly 50 foil stamping colors and sheens to choose from for the perfect color combination, your personalized destination wedding linen like guest towels will add a touch of luxury in the public facilities at your wedding. 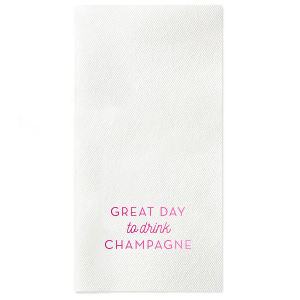 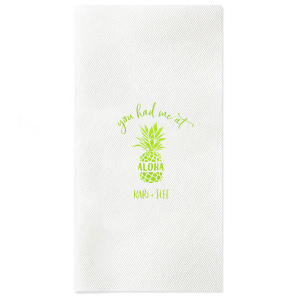 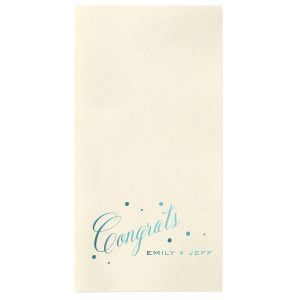 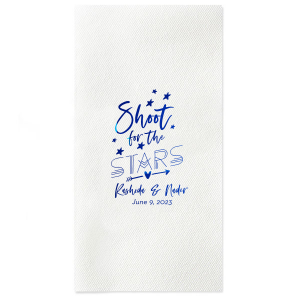 Browse our design idea galleries for inspiration for the perfect foil stamped design to complete your customized destination wedding linen like guest towels. 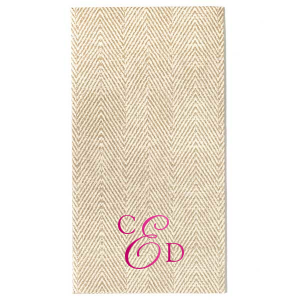 Choose a design that highlights your exotic locale like “welcome to paradise” or opt for a more traditional monogram- let your personalized destination wedding linen like guest towels reflect your style! 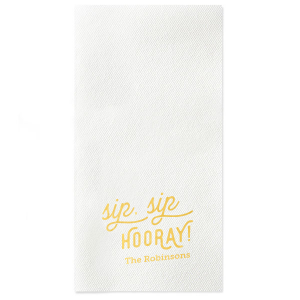 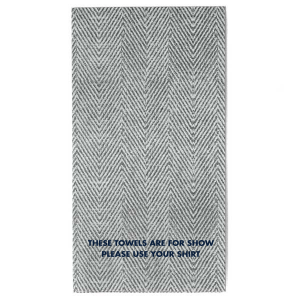 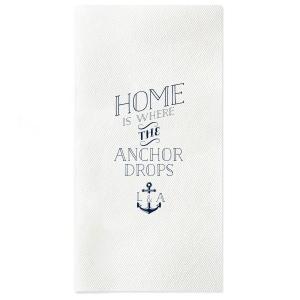 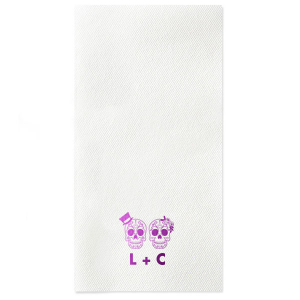 Design your custom destination wedding linen like guest towels today!